Destiny Kids presents the Easter Eggstravaganza. Children from the Oklahoma City metro area are invited to participate in our giant egg hunt, featuring thousands of eggs, candy, prizes, and fun. The Egg Hunt will begin following Destiny's 10AM Easter Service. Kids be sure to bring your Easter baskets. 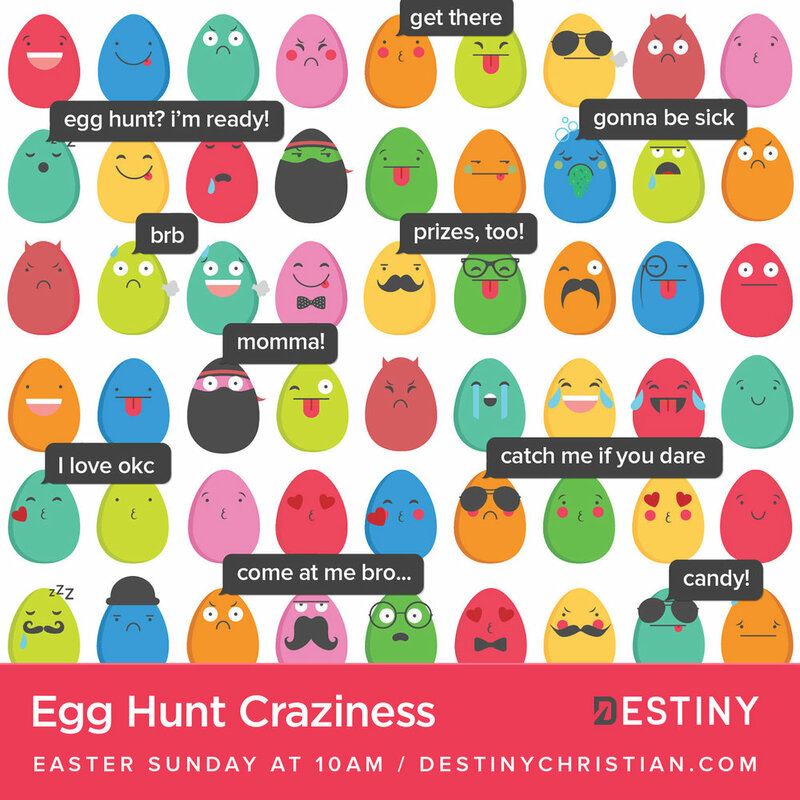 Tell your friends and family about the Easter Eggstravaganza at Destiny by sharing these cool social graphics.